Week 2 of MMM is in the books! I'm actually finding the challenge a little easier than expected. I guess I have way more me-mades that work for maternity than I thought I did. As you can see, it's mostly tops. 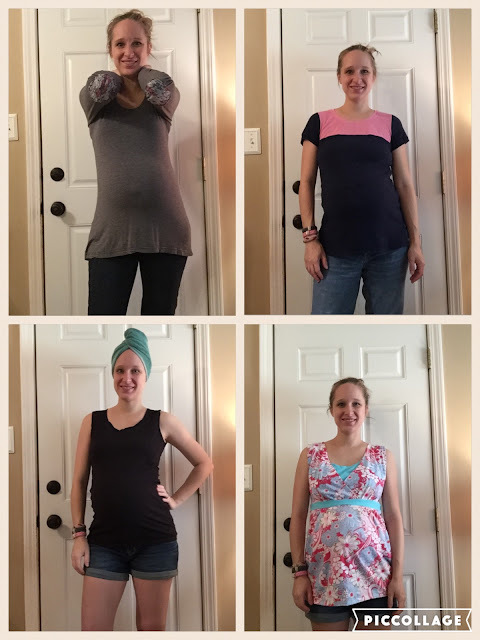 I haven't invested any time in making pants for pregnancy. Just too much effort. 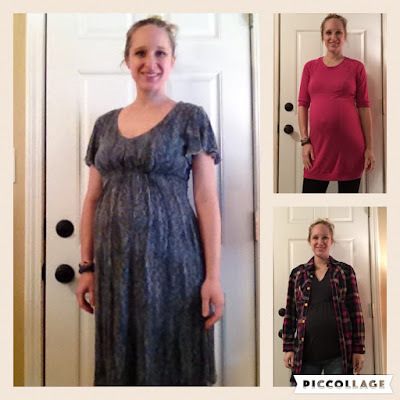 I've been wearing the same three pairs of maternity jeans since my first pregnancy 5 years ago. Maybe I shouldn't admit that out loud? Anyway, here's what I wore this week! Look for a full review of Simplicity 1469 next week!